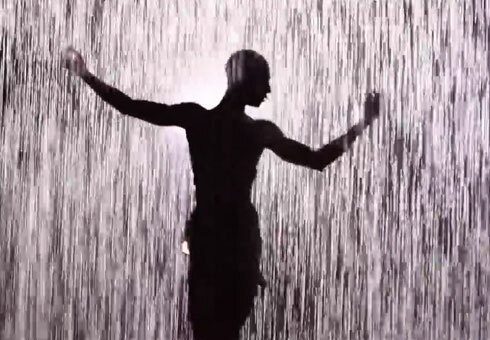 Dancers from Company Wayne McGregor inhabited Random International's acclaimed Rain Room installation in the Barbican's Curve gallery. They performed continuously evolving interventions in the rain, with a score by contemporary composer Max Richter. Known for their distinctive approach to digital-based contemporary art, Random International's experimental artworks come alive through audience interaction. 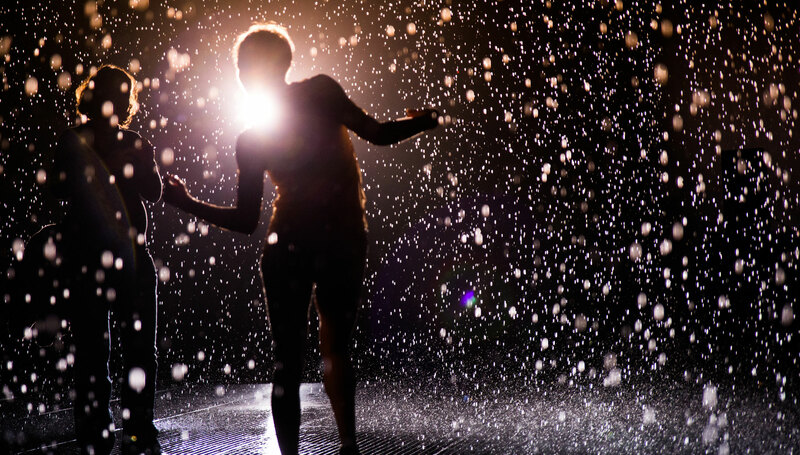 Rain Room was a 100 square metre field of falling water for visitors to walk through and experience how it might feel to control the rain. 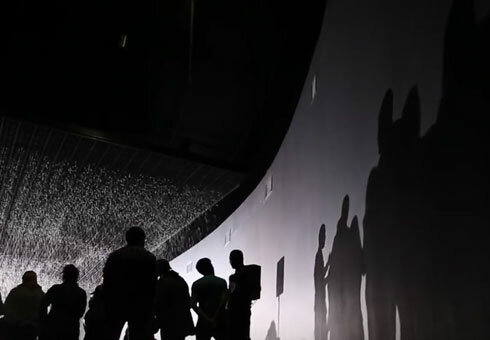 On entering The Curve, visitors would hear the sound of water and feel moisture in the air, before discovering the thousands of falling droplets that responded to their presence and movement. 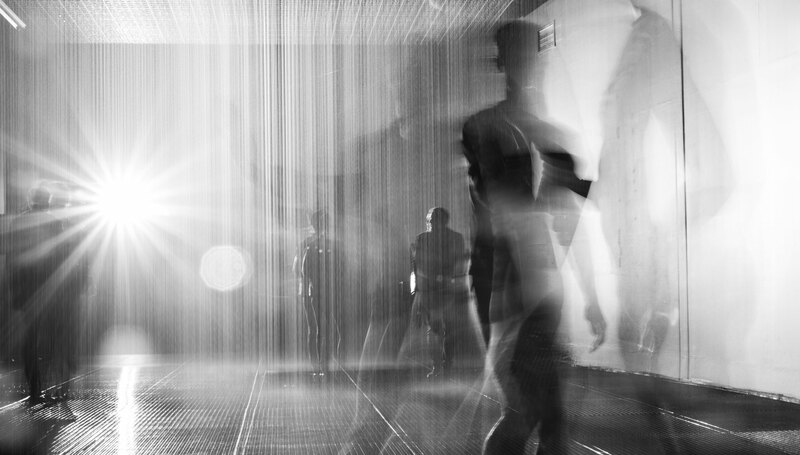 Footage of Rain Room at the Barbican by Random International. Images by Sidd Khajuria, courtesy of Random International. Footage of Rain Room at the Barbican by Random International.